History has been made in Paris at the Gay Games this week. For the first time in it's 36 year history, a Team Scotland is taking part. 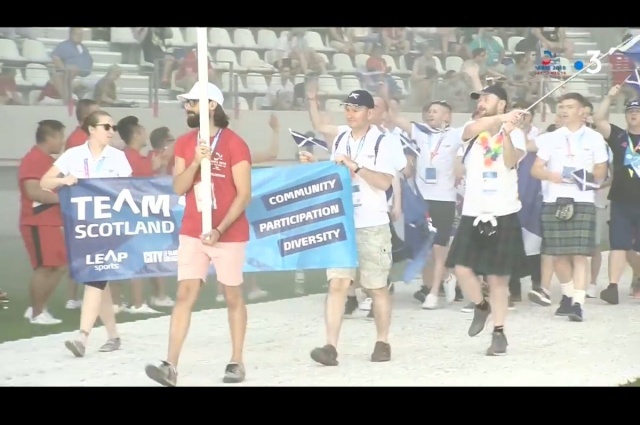 People from Scotland have taken part in previous Gay Games but never in our own team. 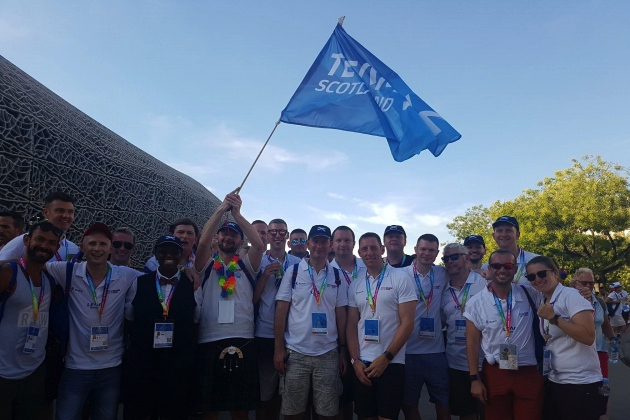 Having a team identity has encouraged more people from Scotland than ever to compete and the opening ceremony was a magical and historic moment for all concerned. Carrying the banner was Richard Amos of the Hotscots and Natalie Deans of Knockout Boxing, and our flag-bearer was Bill Gardiner. The team have been supported by a partnership between LEAP Sports and City of Glasgow College. And there have already some pretty big results from Paris with Speedy Nick Dickson taking a silver in the 10K race, Majestic Mika Bosphore-Ward taking 2 silvers in figure skating, and Marvellous Miki Lee-Dale bagging a Gold in rowing. All this at only the halfway stage! A massive well done to all those who have taken part so far, and stay tuned for updates on any other results as we still have the Hotscots playing football, Natalie in the boxing, Lenna in table tennis, Bill and Ian on the track, and Jonathan on the squash court all still to come. Written on 9th August 2018.